Luxury cruise line Crystal Cruises has expanded its “Voluntourism” programme for 2015, offering a number of additional “You Care, We Care” themed shore excursions. The cruise line is now offering a total of 16 shore excursions on a complimentary basis to guests and crew to enable participants to engage in the humanitarian and conservational activities of organisations throughout the world. Barcelona, Spain – With expert guidance from researchers at the Rehabilitation Centre, guests will learn about the centre’s dedicated efforts to help endangered marine life and their habitats, and even participate in a training drill for a stranded beach rescue of a dolphin. Bergen, Norway – Guests will be taken to The Animal Protection Bergen where they will visit the cats under the care of the organisation’s Rescue Centre. Dubrovnik, Croatia –At Domus Christi, a home boasting 660 years of history of assisting and sheltering the poor, elderly and infirm, guests will meet with residents, providing companionship for a walk to the Old Port and along the waterfront, as well as helping with some of the home’s gardening chores. Guernsey, Channel Islands – Guests will get a glimpse into the daily operation of the Guernsey Society for the Prevention of Cruelty to Animals (GSPCA) as they assist with maintenance of the property. Halifax, Nova Scotia, Canada – This excursions offers participants the chance to assist Feed Nova Scotia, a charitable organisation that collects and distributes food for more than 150 food banks and meal programs. Huatulco, Mexico – Guests will join the Bacaanda Foundation in their work, including providing a creative and cultural outlet for the local people at an arts and crafts workshop. Livorno, Italy – Guests will be taken to a residential care facility for people affected by physical and cognitive disabilities. Here, they will join in activities such as gardening or decorating and get to know the residents and volunteers. Palma de Menorca, Spain – Participants will be taken to a local country estate, where they will assist with people suffering from mental illness who, in partnership with a non-profit foundation, tend gardens, an olive grove and produce fine wines. Puerto Limón, Costa Rica –Participants will spend time with the children and families of SOS Children’s Village, where abandoned and orphaned children are brought up in a family setting, supported by the village environment. Reykjavík, Iceland – Participants will visit Heidmork Natural Reserve to help conserve its habitat by planting trees. Saint John, New Brunswick, Canada – Guests will visit Romero House where they will help in providing support for Saint John’s less-fortunate residents. Santa Barbara, California –Backyard Bounty – a non-profit organisation that supplies the food bank of Santa Barbara – will take participants into the orchards to gather and organise fresh produce for local low income residents. Sorrento, Italy – Guests will travel to Pio Monte della Misericordia, a church located in the heart of Naples with not only a fine collection of artwork, including Caravaggio’s The Seven Works of Mercy, but also a history of charitable involvement. After their church visit, guests will be invited to assist volunteers at a beneficence association that supports the handicapped. Tallinn, Estonia – Visiting the Estonian Food Bank in Tallinn, guests will either assist in the packing of food that will help feed those in need or help by collecting food from a local supermarket working alongside the food bank volunteers. Victoria, British Columbia – Guests will work alongside community members and volunteers at the Mustard Seed Food Bank, sorting food donations and helping prepare meals for those who would otherwise go without. Waterford, Ireland – Participants will visit the Edmund Rice International Heritage Centre, home of a chapel, community centre and museum built by and honouring Edmund Rice, a businessman and social reformer who established the Christian Brothers and Presentation Brothers and a mission to help the needy. 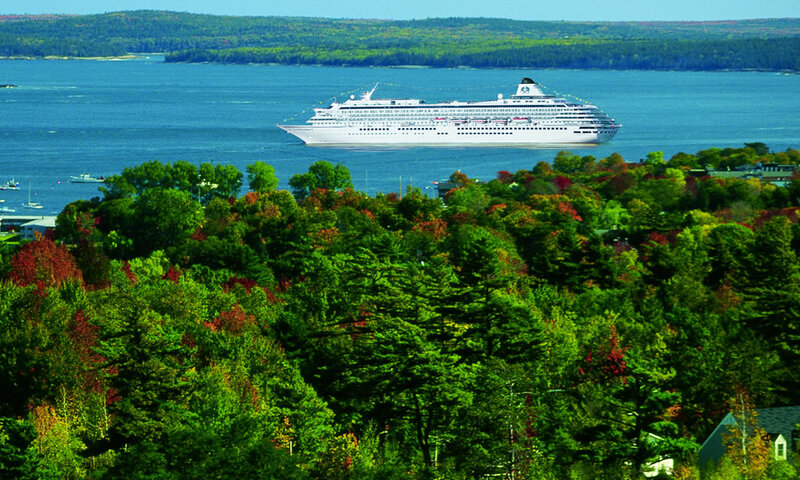 The “You Care, We Care” shore excursions will be offered on more than 24 of Crystal Cruises’ 2015 worldwide itineraries.